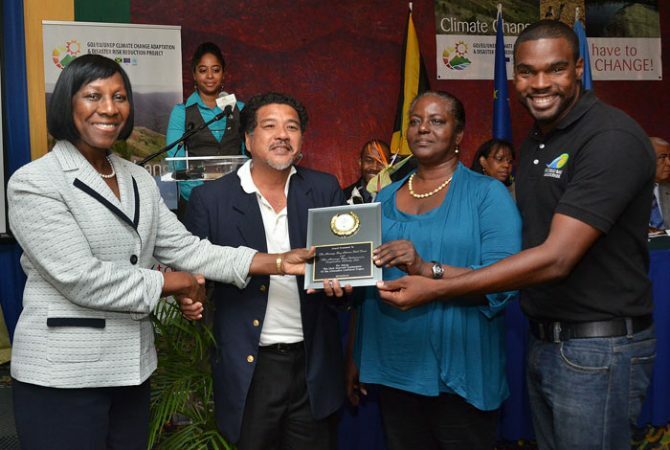 Director Policy, Planning , Evaluation and Research at the National Environment and Planning Agency (NEPA), Novelette Douglas (left), presents the award for Most Improved Project Implementer to representatives of the Montego Bay Marine Park Trust/Montego Bay Fisherman’s Cooperative Society Limited. They are (from second left), Executive Director, Montego Bay Marine Park Trust, Hugh Shim; Board Member, Montego Bay Fisherman’s Co-Operative, Janet Fletcher; and Project Coordinator, Joshua Bailey. Occasion was a Closure and Awards Ceremony for the project at the Knutsford Court Hotel in Kingston, on December 10. Under its implementation, hundreds of residents living in vulnerable communities were trained. Minister of Water, Land, Environment and Climate Change, Hon. Robert Pickersgill, commended all the partners and stakeholders of the project. 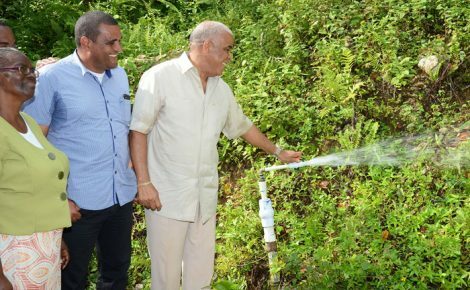 The Minister pointed out that climate change is a major concern for the people, environment and economy of the country. 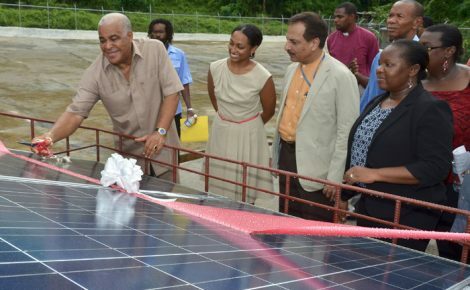 Implementers of the Climate Change Adaptation and Disaster Risk Reduction project have hailed its success in strengthening Jamaica’s ability to withstand natural disasters in some of its most vulnerable areas. The project, funded by the European Union, the United Nations Environment Programme (UNEP), and the Government, at a cost of approximately €4.5 million, was implemented over a three-year period and has now ended. Under its implementation, hundreds of residents living in vulnerable communities were trained; there was physical rehabilitation in coastal and forestry areas as well as supporting policy reform relating to climate change. Addressing the project’s Closure and Awards Ceremony, on December 10, at the Knutsford Court Hotel in Kingston, Minister of Water, Land, Environment and Climate Change, Hon. Robert Pickersgill, commended all the partners and stakeholders of the project “who worked tirelessly to achieve its objectives and made the project a success”. “I myself have participated in some of the events under the project, and I have been very impressed with the work being done in, and with communities, the practical measures taken to increase our resilience, and the clear messages about climate change in scientific terms, some of which utilize popular culture,” he said. The Minister pointed out that climate change is a major concern for the people, environment and economy of the country, and expressed amazement that there are still naysayers about the phenomenon, despite the growing body of scientific knowledge and empirical evidence in cases, such as Hurricane Sandy, which lashed the island last year, and the recent Typhoon Haiyan (which killed over 5,000 persons) in the Philippines. Minister Pickersgill argued that climate proofing communities and key sectors is no longer an option for us in Jamaica, but a necessity. Acknowledging that the cost of financing adaptation and mitigation efforts is often high, he expressed gratitude for the assistance received through programmes, such as the Climate Change Adaptation and Disaster Risk Reduction project. In the meantime, Head of Delegation of the EU to Jamaica, Ambassador Paola Amadei, said that preventing climate change and mitigating its impact is a strategic priority for the EU. She pointed out that climate change does not respect country boundaries, hence the EU is committed to international cooperation on climate change beyond borders. Ambassador Amadei argued that disasters trap people into poverty and protecting what is the basis for livelihood of thousands of people is not a luxury, but a necessity. 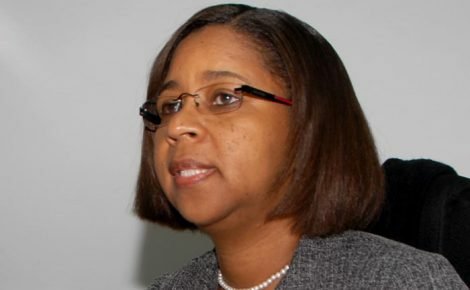 “This is even more the case for Jamaica, as its economic and social sustainability is dependent on its natural resources and the health of its ecosystems,” she said. Several organizations, communities and individuals were awarded for their work under the Climate Change Adaptation and Disaster Risk Reduction project. Among them were the Constitution Hill Local Forest Management Committee, awarded for being the Most Outstanding Agro Forestry/Livelihood Project; and Westphalia Local Forest Management Committee for establishing the Best Agro Forestry Demonstration Plot. Distinction for successful implementation of alternative livelihood projects (Apiary) went to Florizel Thompson of Clarendon; and Most Improved Project Implementer was Montego Bay Marine Park Trust/Montego Bay Fisherman’s Cooperative Society Limited. The objectives of the Climate Change Adaptation and Disaster Risk Reduction project were to assist Jamaica with its adaptation to climate change and to contribute to sustainable development by increasing the resilience of vulnerable areas and reducing the risks that are associated with natural hazards, particularly in these communities. Among the achievements were the re-planting of 405 hectares of lands in watershed areas, including the Yallahs River, Hope River, Buff River and Rio Bueno Watershed Management areas; establishing and strengthening four Local Forest Management Committees; and implementation of a Forest Fire Management programme. The project also saw the installation of artificial reefs in several protected areas; replanting of mangroves in vulnerable areas, such as Portland Cottage; the implementation of alternative livelihood programmes; the development of a comprehensive database for the management of coastal ecosystems; development and management plans for two protected Marine Protected Areas (MPAs) in Montego Bay and Negril and the implementation of a public education programme on climate change.